A Hello Kitty birthday party theme is easy with our Hello Kitty Balloon Dreams birthday party accessories. 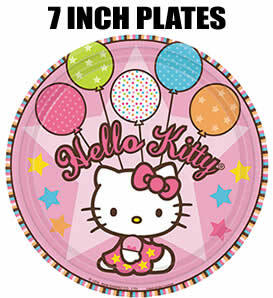 Your kids birthday party will be full of excitement with these 7 inch round Hello Kitty themed plates, perfect for cake! There are 8 paper plates in each package.